The biggest course we have!! 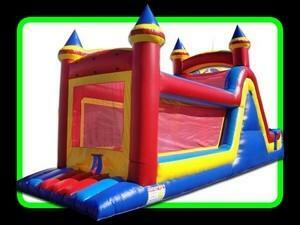 Race through 40' of inflatable obstacles and reach the 15' slide for the win!! Make your party one to remember! !